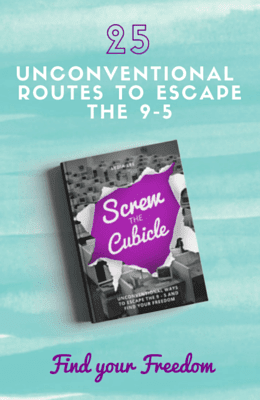 Thinking of making bold moves to quit your cubicle? That’s what I like to hear. 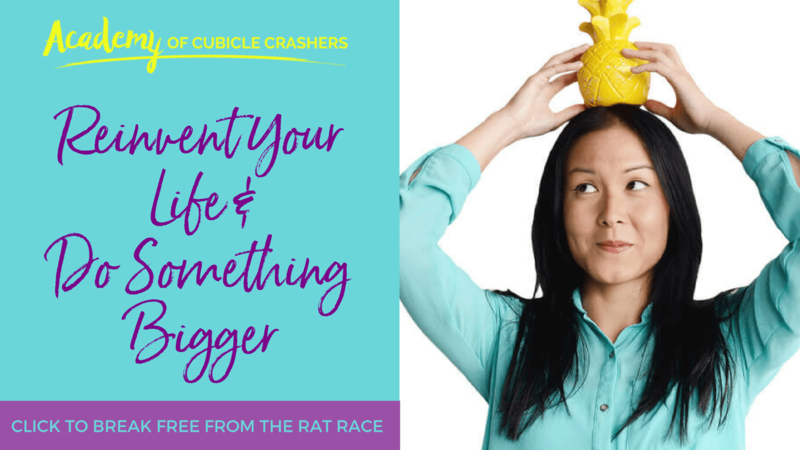 Huge congratulations on making the decision to start the ball rolling to take the leap from your 9-5 into a new life of fulfillment, creativity, and meaning that cannot be given to you in a 90 sq.ft. cubicle. 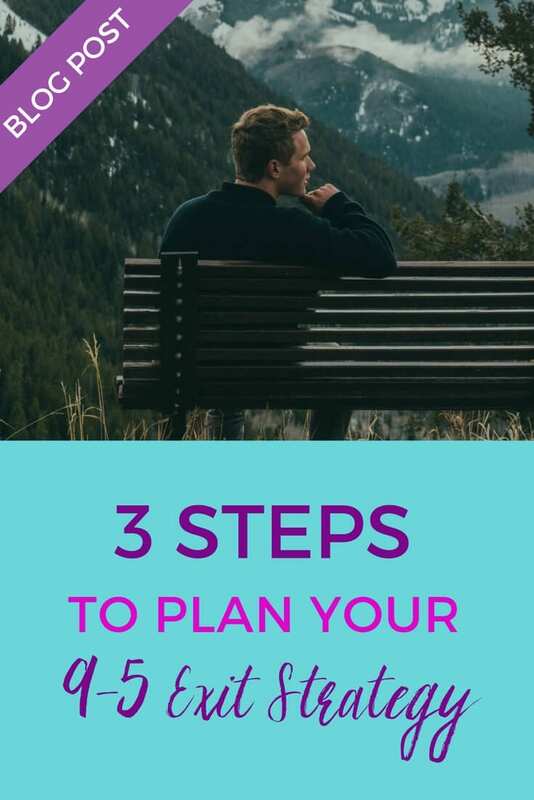 I want to share with you the three important things to prepare your exit strategy, because I know that if you ensure these three important pieces are ready for your leap, you’re going to feel a lot more confident than you are right now. Most of our fears are due to being nervous about the unknown. So I want to get you more courageous by empowering you to take control some important steps that you’ll be needing to take. One of the biggest reasons why we stress about money and use it as an excuse to stay in jobs that don’t fulfill us is because we haven’t taken responsibility for our financial status, which is having control over what we have in the bank, how we spend it, and what we need to save up for to help us achieve bigger goals. I remembered when I thought I had to make the same amount of salary as my corporate job in my business before I could even entertain the idea of quitting. And I was wrong. I was simply guessing. And because I was guessing, I gave myself a financial goal that was far higher (and more pressuring) to achieve when that real number wasn’t even close. 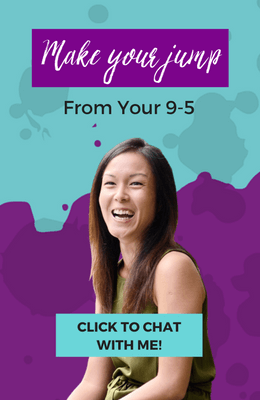 What’s the amount of money you need to save up as your “cushion” and what you need to be making each month when you leave the cubicle to have a comfortable life? Calculate what you bring in every month, and the expenses you have to pay out every month. This will lead you to the number of what you really have left. Use your bank statement or online banking to identify the recurring payments you have to make each month to things like rent, food, cell phone, student loans, credit card debt, etc. How can we get your expenses to a lower number that is more manageable for you after you’ve cut out spending that may be unnecessary? Go to an independent financial advisor and get their help to consolidate your debts and payments into a simpler lump sum. I saved almost $400/month using a line of credit to pay off credit card debt, which helped me lower my interest rate and lower minimum payments monthly. The priority people in our lives (loved ones, spouses, partners, friends, family) need to know about your dreams and your plans. When we tell people we care for about our dreams, we give them permission to support us and understand why we are making certain exchanges that are required for our new goals. These exchanges you may be making as you transition could be time, money, focus, and attention that you need to make in order to reach your goals. The people around you can then understand why you may say “No” to certain things now to prioritize for other important focuses. On a personal level, you now have an honest and open platform to communicate about your progress, fears, and requests for support with the important people in your life. Enrolling the priority people in your life into your new goals, and having the conversations for support can help in your transition. In order to get the life we’ve dreamed about, we must do things we haven’t done before. You can create small pivotal shifts in your behaviour to start forming new habits to be the person you want to be. A strong mindset isn’t going to come overnight. So, you must do what it takes to set yourself up for success by being surrounded by positive people and environments that inspire you to keep persevering. In order to change the way we think, we have to feed our brains something different, so we can think different thoughts. Thoughts that allow us to be braver, more courageous, and reach for higher goals. Being around people that are doing what you dream to do helps you realize what is possible. When you can see someone else doing big things, you will start to think, “I can do this too”. Seek out evidence of real people living out their dreams to know this possibility is also for you. There are daily practices that you’ll need to keep your eyes on the prize despite how “busy” life gets and how you’ll create new habits to support new behaviour that gets you to your goals. What common excuses do you know you’ll have when you do the work? You know how you may self sabotage when things may get difficult. This is where you get to catch yourself beforehand, and anticipate what you’ll need before falling into old habits. Perhaps it’s calling a friend to talk it out whenever you hit a “wall” because you know you’ll shut down when that happens. Or getting an accountability buddy to meet with you every week to ensure you complete small milestones and goals to keep your momentum towards quitting. Think ahead about what your usual “habits” are and set a condition for yourself that when it happens, you have a protocol to get support and help without falling back into negative behaviour. I know this seems like simple advice, but very often, we say we really want something, but our actions and behaviours may not follow through. When we make our dreams non-negotiable, there is absolutely no law in the universe that will prevent you from achieving it. You must treat your dreams as high a priority as everything else you care about in your life. If you are responsible to go to your job every day, you need to also be responsible for showing up to implement your dreams every day. And most importantly, please do not do this alone. You do not have to. Find a coach or mentor that can have you reach your goals in a much faster way (and make sure they have done what you dream to do and have had the experience leading other people towards the same outcomes). Set weekly accountability calls or meetups with a friend where you can plan your escape goals together. Attend online or physical events that keeps you surrounded by brilliant minds, experts, and learners. Your dreams deserve to be brought to life because your purpose and meaning of your life depends on it.